Belgium based Spanish DJ and producer Jerry Ropero has one of the industry’s most colourful careers, thanks to his impressive DJ skills and unique studio talents. American DJ and producer Sam Allan has quickly become one of his home country’s hottest exports, thanks to his perfectly crafted DJ sets and storytelling productions. 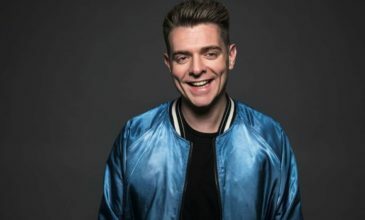 Since exploding onto the scene, American DJ and producer Sam Allan has gained himself a reputation as one of the fastest growing and most exciting artists on the globe, thanks to his unique productions and perfectly crafted DJ sets that are known to taking audiences on a mesmerising musical journey. Italian hotshot Yuga has been turning heads since he exploded onto the Dance music scene. Alex Ferrer & Sergio Parrado, two Spanish label owners (Deeplomatic / My Little Dog) have joint forces this time to bring you a very special EP; “Missed my Bus” a great blend of deepness, jacking grooves and funky vocals. Pure classic vibes from start to finish. Belgian DJ and production pair Les Coiffeurs have become one of the scenes hottest, emerging new stars, thanks to their eye-catching release catalogue and perfectly crafted DJ sets. Canadian production and DJ duo Eagle I Stallian have quickly become one of their native countrys hottest exports, thanks to their top-notch productions and perfectly crafted DJ sets. A name synonymous with sublime summer soundtracks, Maurizio Colella – aka EDX – is turning up the heat once again with the release of his sumptuous two-track EP ‘Touch Her, Feel Her’ – out now on his prolific Enormous Tunes imprint. Hey Buddy!, I found this information for you: "Jerry Ropero – Don’t Go Changing". Here is the website link: https://themusicessentials.com/music/jerry-ropero-dont-go-changing/. Thank you.